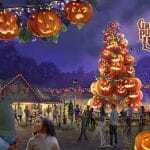 The Dollywood park is open until 9 p.m. each night during Dollywood’s Harvest Festival featuring the Southern Gospel Jubilee and Great Pumpkin LumiNights presented by Humana. 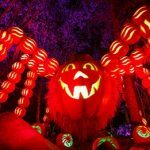 The largest addition ever made to Dollywood’s fall festival, Great Pumpkin LumiNights features artistic sculptures, whimsical scenes and delightful, family-friendly fun throughout Timber Canyon. 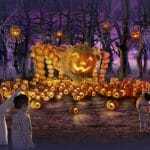 Great Pumpkin LumiNights immerses families in fabulous pumpkin illumination thanks to spectacular pumpkin displays, which glow with the fire of fall. 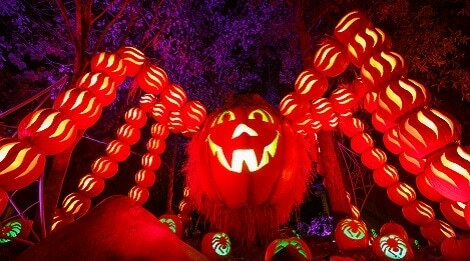 Numerous lighted pumpkin displays throughout the park will delight families looking for a new and unique tradition. 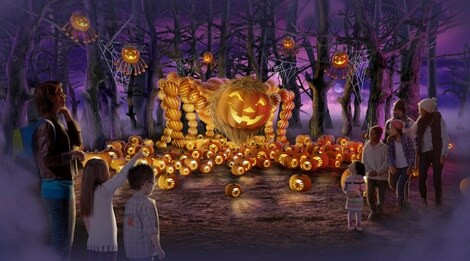 Great Pumpkin LumiNights also features new pumpkin-themed food options, entertainment and interactive opportunities for park guests to experience an exciting nightly finale during the best fall festival in the Smokies. During the day, the Southern Gospel Jubilee lineup includes some of the biggest names in Southern gospel music. 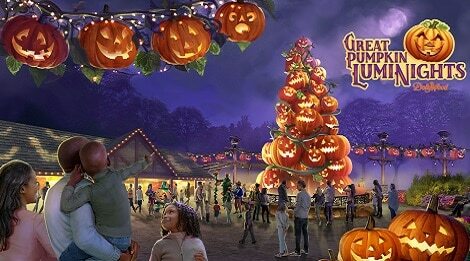 Your family will enjoy the soul-stirring sounds of beautiful harmonies ringing through the crisp air as free daily concerts take place on the park’s various stages. Visiting artisans from across the country share their talents through an array of handmade wares, spanning from functional to decorative. Each day is a picture-perfect opportunity for your family to enjoy the traditional experiences of a Smoky Mountain harvest!